It has been proven that staging your home before it hits the market will increase the selling price of your property and help it sell more quickly. Picture yourself as a buyer: your first “look” at a home is on the internet. Buyers are most interested in homes that have a fresh and clean appearance; homes that emanate a feeling of tranquility and purpose. 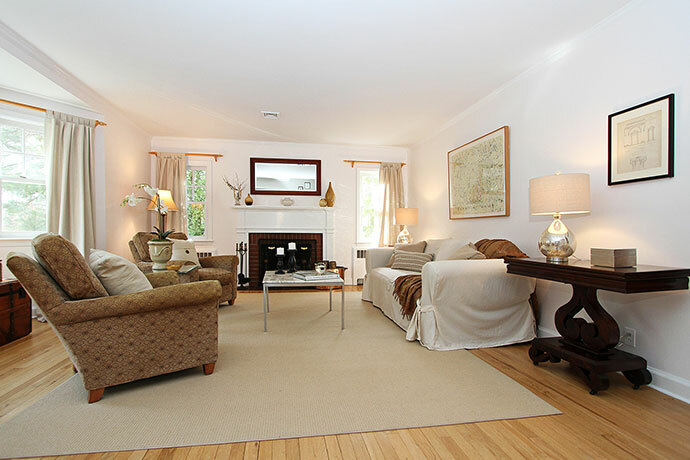 Real estate markets are very competitive and staging can give you an edge to a successful sale. 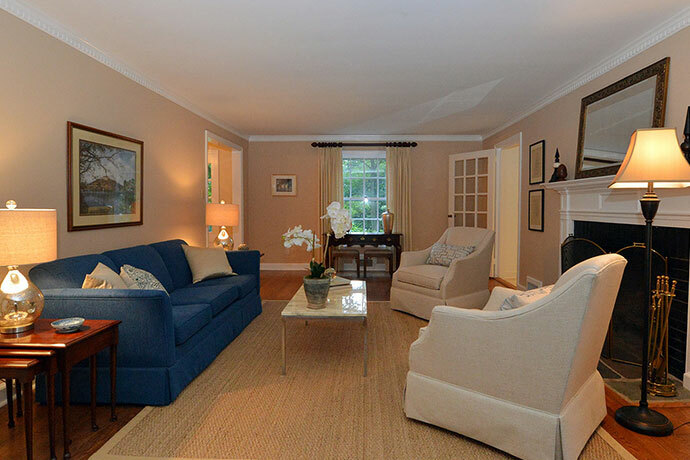 Here are a few of Elizabeth’s listings and central ideas that illustrate the effects of staging. Which house would YOU more likely want to see? 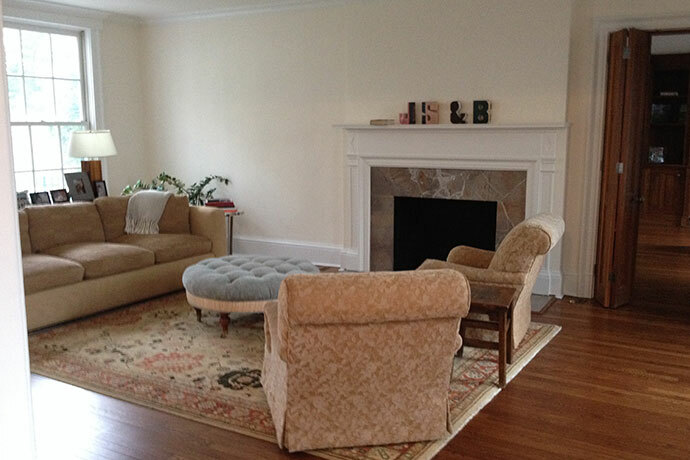 This living room was quaint and cozy, but the decor was specific to the owners’ personal tastes. By neutralizing the colors, buyers could more easily envision themselves in the space, resulting in multiple bids on this property. What looks good in-person often looks busy on the internet. Taking away some furniture helps rooms look more spacious. 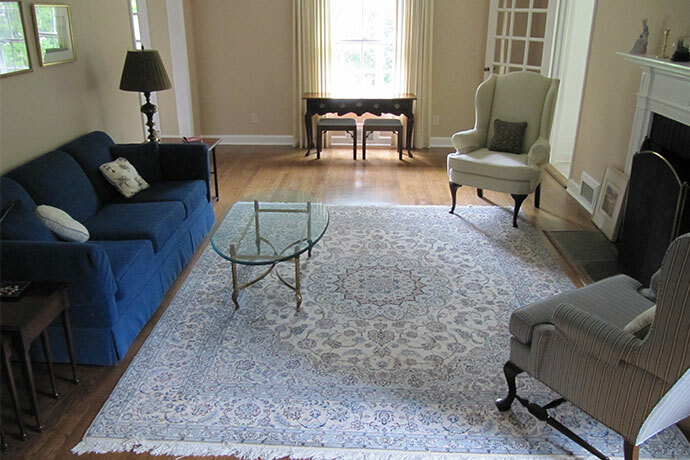 A neutral rug, removal of curtains and a few accessories made this room look crisp and stand out. Tone it Down: Think about neutralizing your home. When a buyer walks in for a showing, decor that distracts is just, well, a distraction. Give potential buyers every opportunity to see the unique features of your home; personalized decor may not appeal to them. 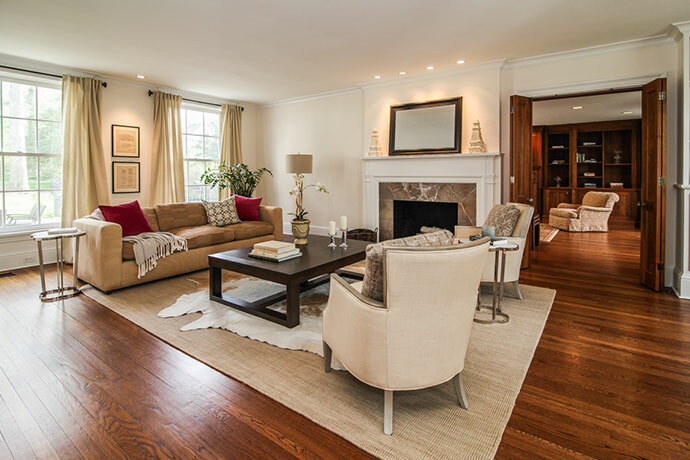 Painting with neutral colors, removing busy rugs and floral patterns, staging with furniture that blends with the home helps buyers focus on the things they like about your home. Light it Up: Buyers love a sunny, well-lit house. Adding a few extra floor or table lamps to each room is a quick, easy and inexpensive way to increase your home’s appeal. In many of these pictures, window treatments have been taken down completely or replaced with a neutral look. 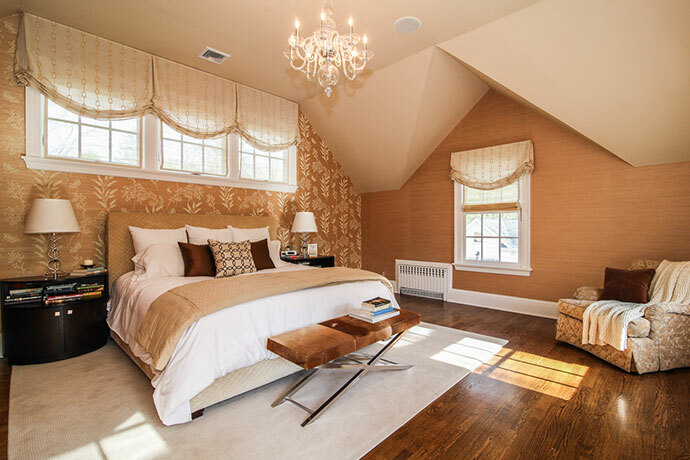 Dark window treatments block natural sunlight and are often the owners’ personal taste –– taking them down or opening them all the way allows the maximum amount of light into the house and gives buyers a chance to envision themselves living there. On days when your house is being shown, make sure to turn on all of the lights in the house, even if the showing is during the day. You will be pleasantly surprised by the difference it makes! A beautiful home with great natural lighting and a dramatic fireplace looked great, but did not make buyers feel like they needed to see the house. 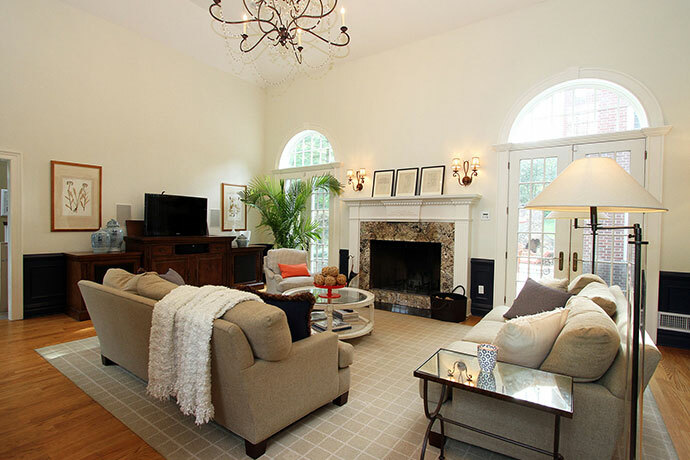 Extra lighting, a plain rug, plus a mirror over the fireplace lent more purpose & a contemporary look to the room. Declutter & Pare Down: Organize your home by getting rid of extra furniture, personal effects, art and knick-knacks. Figure out which items are essential and remove the excess to give a feeling of space and cleanliness. 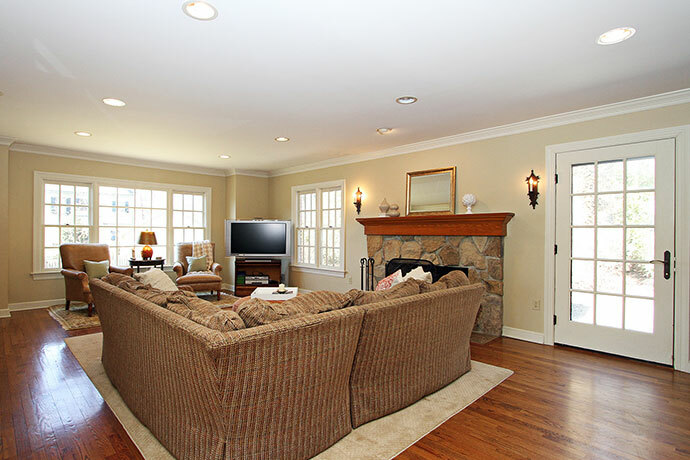 Buyers are turned off by rooms that are packed with furniture; most potential buyers are looking for a spacious home. Clean out your closets so a buyer can picture their own items in your house. 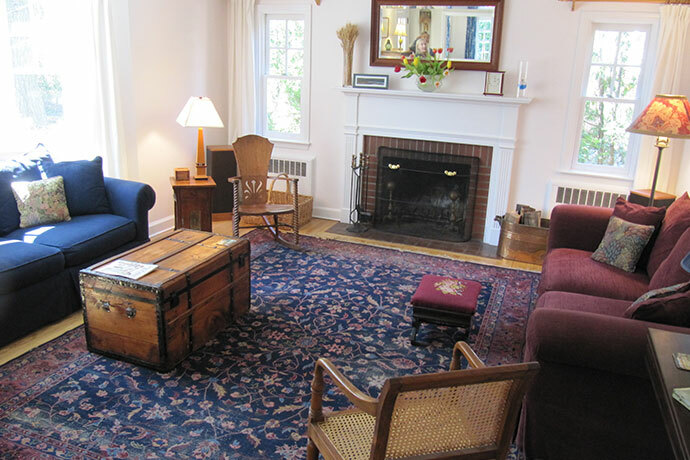 This Family Room was the hub of the house, so had a lot of extra furniture and a place for all family members. Taking down the window treatments gave the room a cleaner, brighter look. Extra furniture was removed to highlight the size of the room. This room’s photos were very personal and looked busy on the internet. A few changes gave buyers a clean slate to envision themselves in the space. Room Definition: Is it a bedroom or an office? Is it a TV room or study? Don’t confuse buyers by giving rooms too many functions. 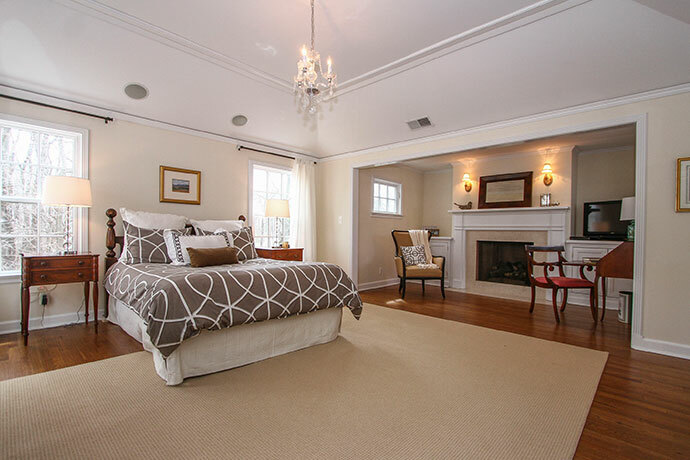 If you list your house as having four bedrooms, make sure there are beds in each of those rooms. Don’t give a buyer the chance to walk away from your home because they can’t figure out how they are going to live there. Clearly defined spaces add appeal to your house. 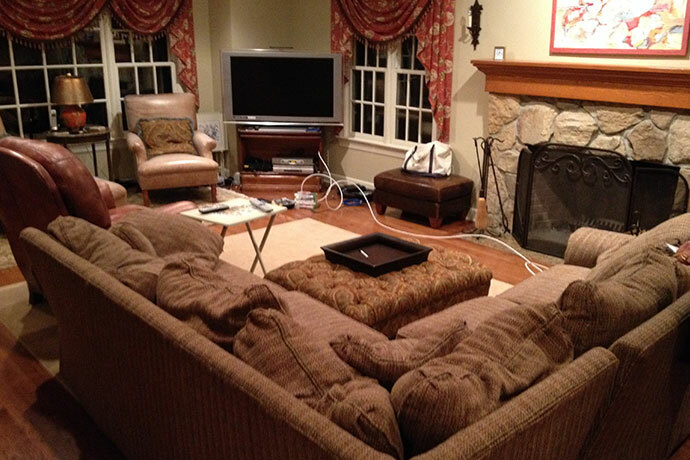 The owner of this home said: “We just never spent much time in the living room” and as a result, it was not very inviting. After it was staged, they loved the transformation and enjoyed it for a few short weeks after receiving multiple bids. 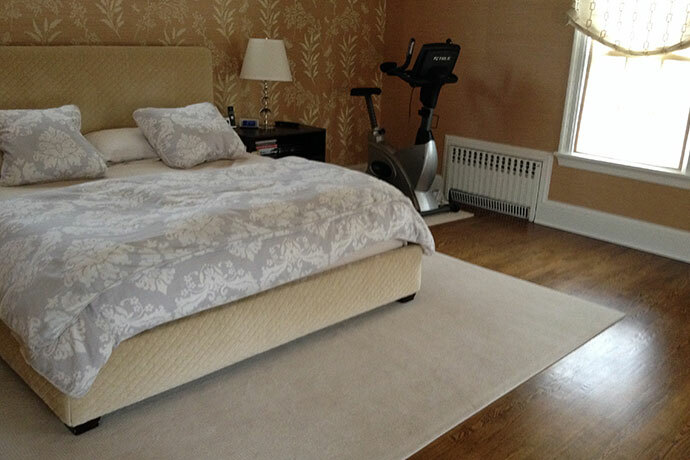 Looking like both a bedroom and exercise room confused buyers with its dual purpose. 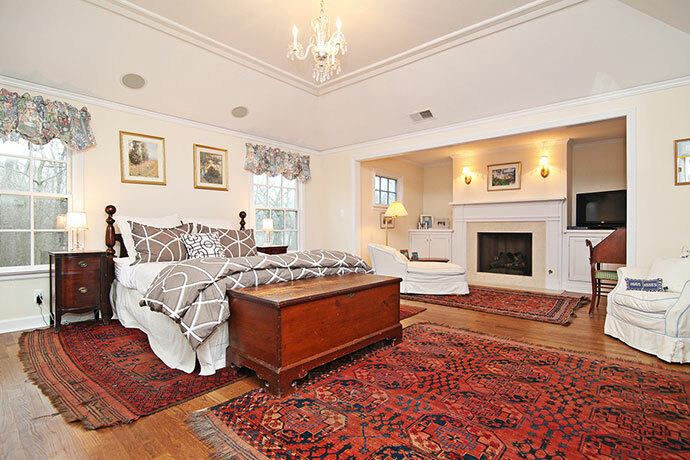 By moving around the seller’s own furniture, this master bedroom became a luxury suite. Curb Appeal: First impressions count––pay as much attention to the outside of your home as you do to the inside. When buyers drive up to your house, the landscaping, walkway and front door are the first things they see. Follow these simple steps to make a good first impression; weed and mulch the garden beds, plant flowers in pots at the front door, repair cracks in the walkways or steps, paint the front door, restain your your peeling deck, mow the lawn and rake your leaves, and finally, don’t be afraid to stage your deck or patio. A lovely seating area with table and chairs allows buyers to see themselves entertaining family and friends in their next home. A few staging techniques can go a long way. If you are even thinking about selling in the next few years, Elizabeth is happy to meet with you with no obligation to go over the staging and selling process.